A micro-brewery and tap room in Marshall, Michigan, Dark Horse Brewing Company brews a variety of beers, including Crooked Tree IPA, Raspberry Ale, Boffo Brown Ale, Amber Ale, and Black Ale in their main line, as well as numerous seasonal and specialty brews. They have a Taproom open 7 days a week and offer tours Saturdays and Sundays. Located in downtown Jackson, Michigan, Grand River Brewery offers a wide selection of craft brewed beers from their 15 taps, along with wines from their winery, and spirits from their distillery! Open 7 days a week. This Jackson microbrewery produces beer brewed in single barrel batches for an incredibly fresh, hand-crafted taste. Open Wednesdays through Saturdays. Producing wine, cider, mead, and spirits along with craft beer, Ellison Brewery and Spirits tasting room has up to 13 craft beers on tap, along with their other offerings. Open 7 days a week. Producing a variety of craft beers in styles ranging from IPAs and whit beers to stouts and porters, Harper’s also offers live music Wednesday through Saturday. Open 11am to 2am, 7 days a week. Open Wednesdays from 4-7pm and Fridays from 5-7pm, the Sleepwalker taproom typically offers 4 to 6 different beers for your kegs, growlers, and howlers. Updates as to what styles will be available are made regularly to Sleepwalker’s Facebook page. Open 7 days a week, Midtown Brewing has 14 local Michigan beers on tap, including 5 of their own – plus live entertainment and events throughout the week. The 9 beers on tap at this Lansing craft brewery cover the range from Scottish ale and Irish red, to pale ale and IPA, porter and stout. A microbrewery and pub, EagleMonk also produces their own wine, soda, and pizza! Open Tuesday through Sunday. Located in Mason’s downtown historic district, this microbrewery offers a wide selection of hand crafted beers and ciders, both regular offerings and seasonal specialties. Pre-packaged snacks round out the offerings, with a note that you can also bring your own food in. Open 7 days a week. 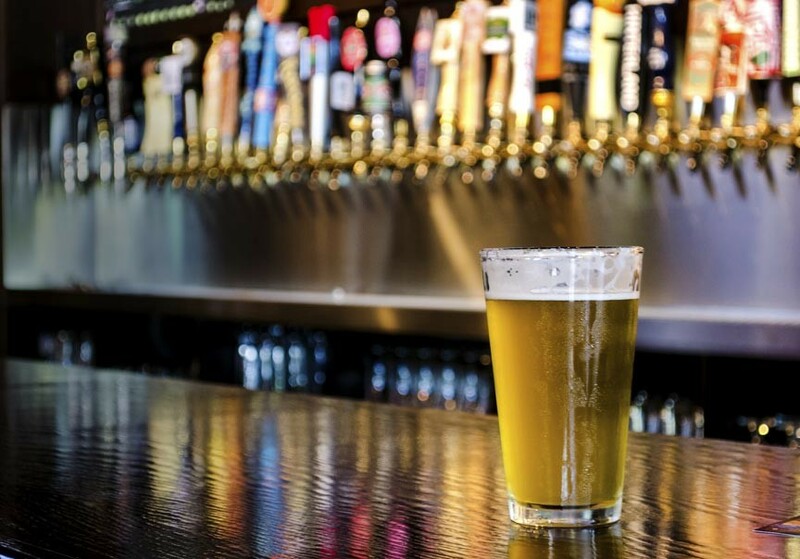 Even though this post is supposed to be about craft breweries Near Eaton Rapids, we would be remiss not to mention the 100 craft beers on tap at HopCat in East Lansing. The largest draft beer selection in the state, they also offer a wide range of regional, national and international beers, wine and cocktails. Out discovering all the great craft breweries near Eaton Rapids is going to make you hungry and tired – English Inn Restaurant & Pub to the rescue! Book your room with us and be transported to a different world by our stately grounds, delectable meals, uncommon hospitality, and upper-tier amenities. Whatever brings you to the Lansing area, choosing to stay at The English Inn Restaurant & Pub is a decision you wont regret.